The "A"-graded "Shake Rattle and Roll 14: The Invasion" is one of the two horror movies in the 2012 Metro Manila Film Festival. But just like its previous installments, the Regal Films entry is a trilogy. Check out the trailer of each episode! 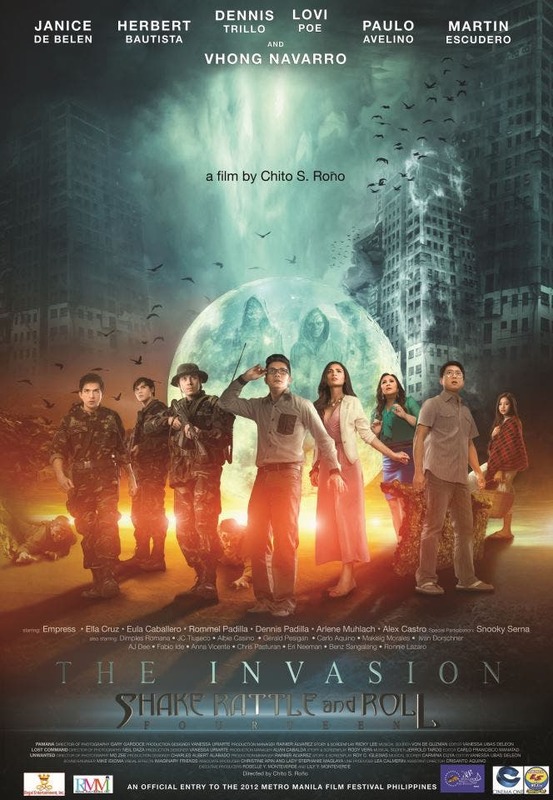 Here are the synopses, cast members and trailers for the episodes of “Shake Rattle and Roll 14: The Invasion,” all directed by horror-master Chito S. Roño and produced by Regal Films. Premise: When a group of cousins are called to gather together for their shares from their unknown uncle that died, but their uncle did not left them with money only but also his comics and masterpieces but the cousins’ interest on it went down when they have known that it is horror, but they still took it, the comics came alive because the spirit of their uncle heard about whate they’ve said about horror, now the story of “Pamana” focuses on the unjustified genre of horror.